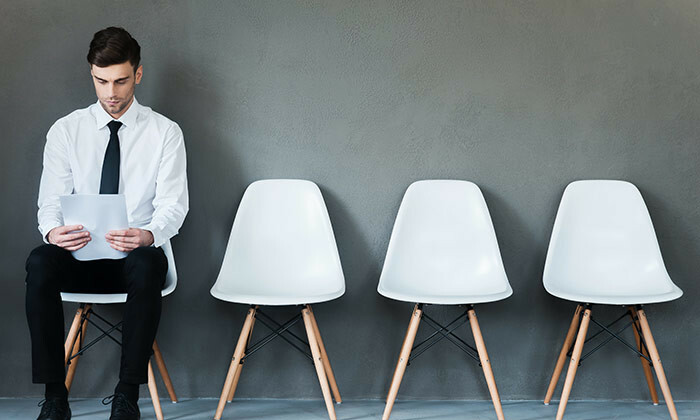 The hiring of marketing professionals saw a decrease in demand year-on-year (YOY) this September, according to the latest Monster Employment Index (MEI). The decrease includes professionals within advertising, market research, public relations, media and entertainment. 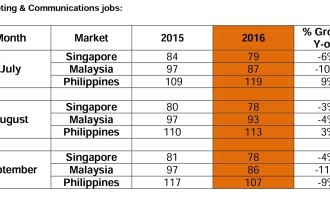 It follows a decline in overall e-recruitment activity across the Malaysia, Singapore and Philippine markets. 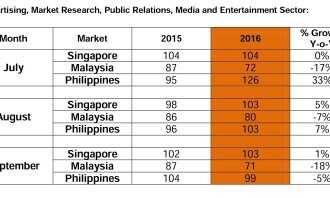 Malaysia reported the steepest decline in demand for marketing talent at -11% year-on-year, followed by the Philippines at -9%. In Singapore, demand decreased by -4%. When looking specifically at the online demand for marketing and communications professionals, all markets reported negative annual growth. In Malaysia, online hiring activity slow down by -16% YOY while e-hiring in the marketing sector reported a decline of -18%. 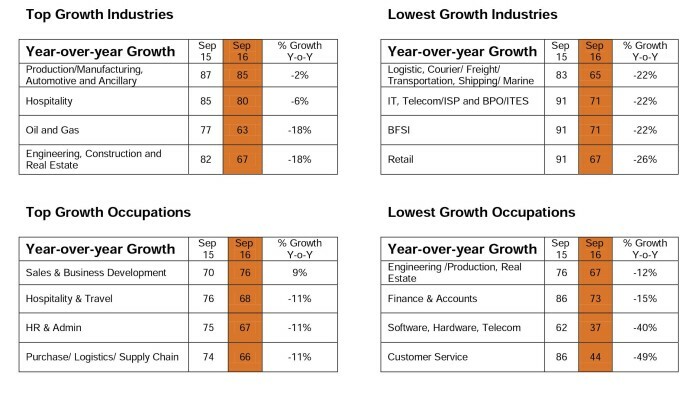 None of the job sectors registered positive annual growth in online hiring. While the retail sector saw the steepest annual decline at -26%, production /manufacturing, automotive and ancillary sector recorded the least annual decline at -2%. Sales and business development roles reported the steepest annual growth in hiring at 9%, while customer service talent saw the least in demand at -49% YOY. For Singapore, overall online hiring activity remains stagnant with zero percent growth. Meanwhile, recruitment in the marketing sector saw the only positive growth at 1%. IT, telecom/ISP and BPO/ITES sector reported the steepest growth at 9% while the BFSI sector reported the steepest decline in hiring at -11% YOY. Professionals in software, hardware, telecom jobs are in the greatest demand at 18%, while hr & admin roles have registered the steepest drop at -12%. “While the need for marketing talent has declined in Singapore, Malaysia and the Philippines, we will likely see this pick up in the first and second quarters of 2017,” Sanjay Modi, MD of Monster.com – APAC and Middle East, said. He added that as big data analytics, e-commerce, UX, UI and digital optimisation are increasingly needed within marketing teams, talent with these niche competencies will remain in high demand. Outside of these key roles, employers will likely refrain from many major hiring decisions unless they are business-critical. MEI is a monthly gauge of online job hiring. 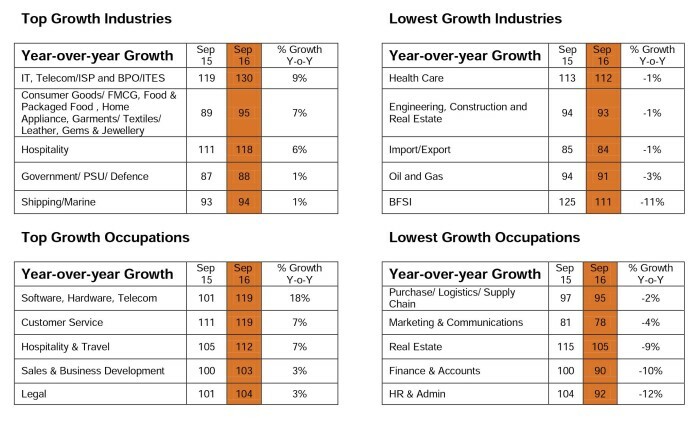 The Index shows the industries and occupations with the highest and lowest growth in online recruitment activity, and includes data from the advertising and marketing sectors. The Index does not reflect the trend of any one advertiser or source, but is an aggregate measure of the change in job listings across the industry. A series of fun ads are installed in the city's MTR stations and main roads to demonstrate Klook's handy services..